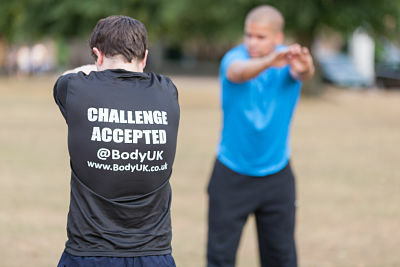 At BodyUK we understand the challenges everyday life presents when it comes to staying healthy and keeping in shape. There are a number of barriers which can hold you back. You may be able to relate to some of the issues below. Busy lifestyle leaving you with little or no time to exercise. Lack of understanding regarding how to exercise effectively. Going it alone. No one enjoys facing challenges alone. Lack of support leaving you unsure of who to turn to. Bored, frustrated and tired of always starting again. All the reasons above used to hold our outdoor fitness members back, but not anymore. 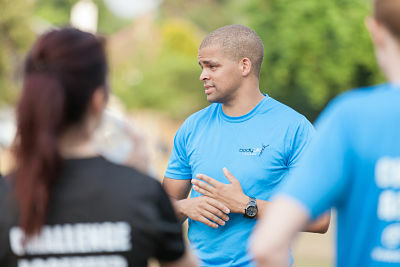 At BodyUK we ensure our classes are fun, informative and suitable for people of all abilities. All of our fitness camps are run by a certified personal trainer who will guide you through a 50 minute group fitness class designed to help you burn calories and remove stubborn body fat. You’ll be pleased to hear that our classes are not set up to be anything like an army bootcamp. You will be joining like minded individuals in a highly supportive environment. We will not scream and shout at you. We will simply provide a great session to help you achieve the best possible results. Each outdoor fitness class is 50 minutes long, with a focus on getting you moving & burning calories. It’s easy to find us. We meet at Gigg’s Hill Green in Thames Ditton. There is free parking available. Every session is led by a qualified personal trainer who designs the classes for people of all abilities & fitness levels. 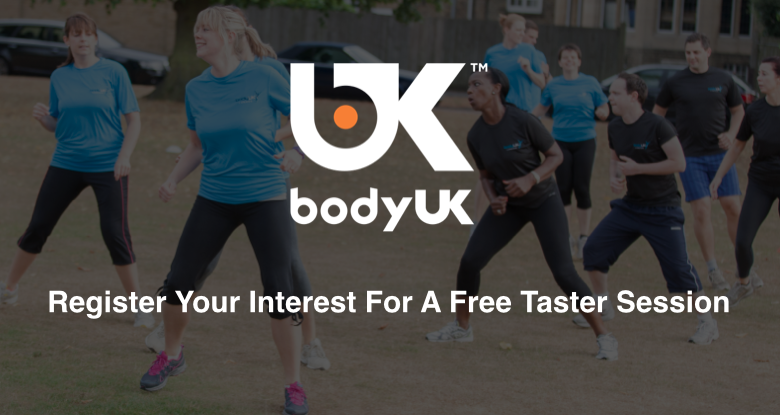 We believe you’ll love BodyUK, but if you’re not sure, why not come & join us for a free session to see what you think? When & where are the classes? 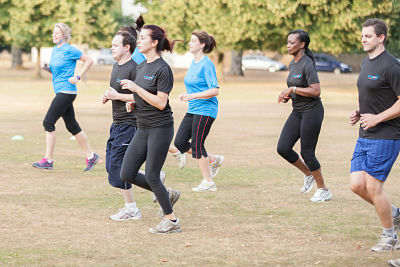 We currently have places available for our fitness bootcamp in Thames Ditton. We meet at Gigg’s Hill Green on the Portsmouth Road (A307). There is free parking available if you are driving or alternatively Gigg’s Hill Green is just a 10 minute walk from Thames Ditton railway station. 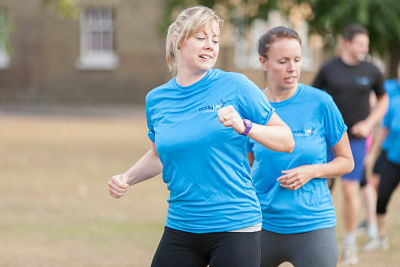 Our members travel from Teddington, Kingston, Surbiton, Esher, Hampton and further afield to join us for an effective 50 minute fitness class run by a certified personal trainer. If Thames Ditton doesn’t suit you then please do still get in touch to join our waiting list and find out more about our future availability for other locations. If you think you could benefit from joining BodyUK outdoor fitness classes then why not come and try a FREE taster session? You’re welcome to attend one session to see what our fitness classes are all about. If you register today by filling in the form on this page, we will contact you within 24 hours to confirm your place. Then all you have to do is come and meet us at Gigg’s Hill Green, at one of the times listed above, to experience a 50 minute session and see what you think. 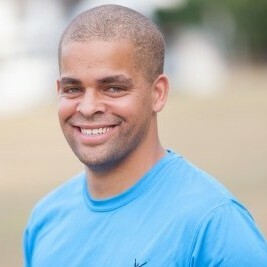 When you arrive look out for Jem, our Head Coach at BodyUK, who will be leading the session.